Are you running out of landscaping ideas for your business or for your own backyard? Whether you are planning for a professional landscaping gig or just renovating your own backyard lawn, there are many landscaping software that you can use to start with it. 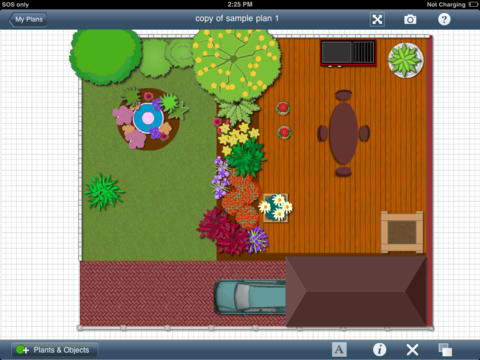 The Garden Plan Pro is a smart garden layout tool optimized for iPads. The app provides a visual foundation on how you would arrange the plants in your garden. It can even provide planting tips if you are trying to combine different plant species in a block which is helpful if you are just new in landscaping. Pros: Flexible garden design, provides planting tips. Cons: Costs $7.99 to download, with reported bugs in changing plants. 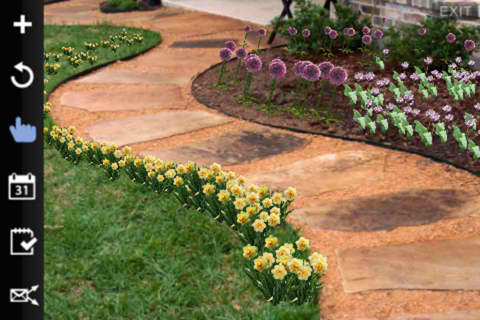 The Garden and Landscape Designs for iPad will help inspire landscapers in creating new landscape designs. The app is composed of amazing garden images with detailed information underneath. The collection of garden images in the app is helpful in creating new landscaping techniques and ideas for different types of garden. Pros: Lots of amazing garden photos, detailed information included in each photo. 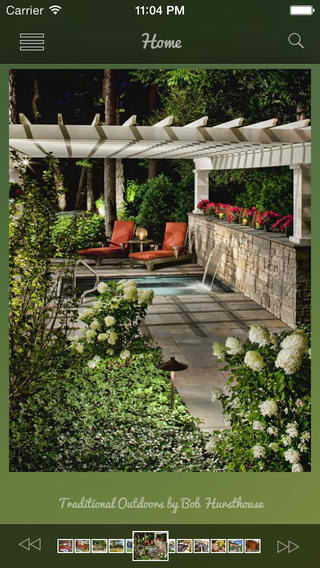 Cons: Costs $4.99 to download, limited to showcasing garden/landscaping images only. The Gardening Toolkit creates a simulated environment where you can try planting and growing plants in your own virtual garden. 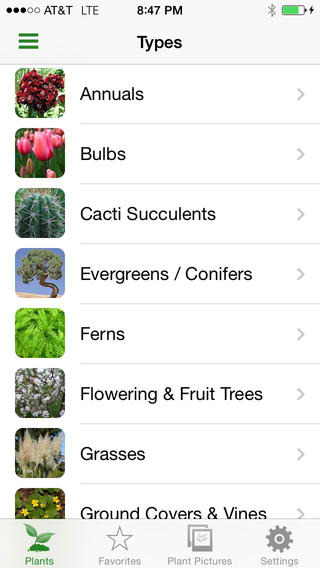 The app also provides tips in planting different plant species. It can determine the best plants for your garden by considering the place where you are living, season and climate. Pros: Can suggest the best plants for your garden, supports a realistic simulated virtual garden. Cons: Costs $1.99 to download, landscaping features limited to plants only. The FlowerSnap Garden Designer is especially made for flower gardens. 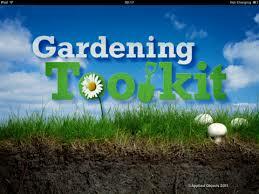 If you want to transform your backyard into a flourishing flower garden, this iPad app is helpful to use. It has lots of flower varieties to choose from and you can create many garden designs by using your own photos. Pros: Free to download, database equipped with more than 200 flower varieties, provides detailed planting information. Cons: Limited to landscaping flower gardens only, few landscaping tools. With Garden Designer, it’s practically easy to create landscaping designs for your garden. The app is equipped with several landscaping tools helpful in making initial plans on how you will landscape your garden or lawn. It is pretty straightforward to use as the user interface is simple and easy to navigate. Pros: Can create quick landscaping layouts, with more than 600 landscaping tools. Cons: Costs $9.99 to download, with reported bugs when opening the main page. 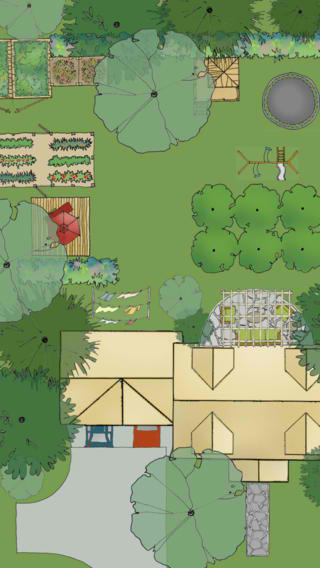 Planning the landscape layout of your backyard is easy with the Home Outside Palette app. It has many useful landscaping tools that will help you sketch your initial landscape design. 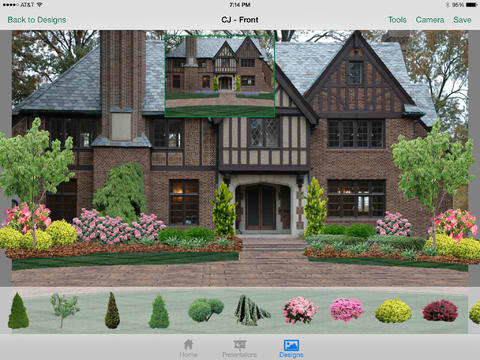 The landscaping elements in the app are all hand-drawn so you can create beautiful and professional landscape layouts. Pros: With more than 200 hand-drawn landscaping elements, allows sharing of final design output. Cons: Costs $1.99 to download, complicated user interface. The Eden Garden Designer is helpful in planning the design of your own garden. The app will let you plan and create your own virtual garden by just taking a picture of your actual lawn. There are lots of plants to choose from and you can share the virtual garden you created with your friends. Pros: Plant Library included, allows simulation of garden appearance when going through different seasons. Cons: Costs $1.99 to download. The Landscaper’s Companion is a comprehensive plant and gardening reference guide for professional landscapers. The app’s database has over 20,000 plant species complete with pictures and information. 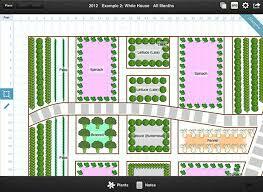 The app is helpful for landscapers in planning initial landscape design. Pros: Database equipped with more than 20,000 plant species, responsive search feature, supports emailing of detailed plant information. Cons: Costs $4.99 to download, tropical plants and orchids not included in the app’s database. PRO Landscape offers desktop software for professional landscaping business. The partner iPad app for this software is free to download in iTunes. With PRO Landscape, you can virtually create landscaping designs for different lawns and gardens. It is ideal for landscaping businesses as you can use the partner iPad app of the software to showcase the landscape designs you made. Pros: Free to download, supports 3D presentations. Cons: iPad app requires PRO Landscape software version 18 or higher. 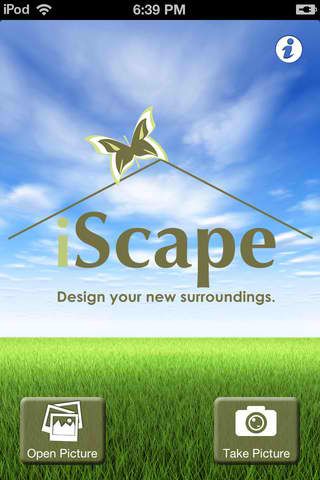 With iScape, you can virtually start landscaping your yard without buying any material yet. All you need to do is to take a picture of your backyard and use the landscaping tools in the app. There are lots of landscaping tools that you can use to change the design of your backyard like flowers, shrubs, trees, grasses, stones, fences and many more. Cons: Costs $9.99 to download, in-app purchases needed for more landscaping tools. With the outlined landscape software above, you can now easily start landscaping your own garden. 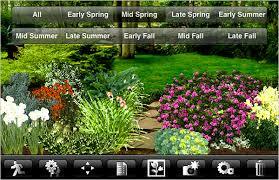 You can also use the apps if you want to start a landscaping business. Just remember to look for the most suitable landscape app for your needs so you can maximize the app’s potential in creating landscape layouts. This is an informative post. Lets see how much will these software will be effective. Are these apps available on Android as well? Would like to purchase the Garden Designer. If you have the link, can you please post it? It looks very wonderful designs of landscape software for iPad. Do you an available software for a landscape designs for small houses too? Thanks in advanced.